Citrix Synergy 2010 is taking place this week at the Moscone Center in San Francisco. Gabe and I are both here covering the show this week, and we'll be writing, blogging, and recording interviews of the cool stuff that we see. Citrix Synergy 2010 is taking place this week at the Moscone Center in San Francisco. Gabe and I are both here covering the show this week, and we'll be writing, blogging, and recording interviews of the cool stuff that we see. The opening keynote ran from 10:30 to noon today. Here's my live-blog from the event. (You can also check out Gabe's tweets. This page is in reverse-chronological order, so read from the bottom up. 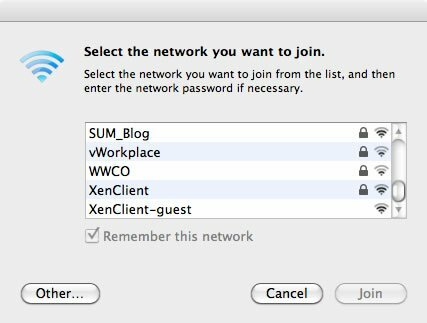 Citrix Receiver will add local encrypted storage area for streamed apps that run locally. 12:30 Whoa cool... Ok, yeah.. He just "swiped" the screen and the iPad Citrix Receiver popped up icons for other clients he had. And he "sent" his desktop to his desktop.. And "BOOM!" the desktop at the edge of the stage got his remote session. Just a party trick for sure, but still cool. 12:29 He's showing touch interface via the iPad to a XenApp or XenDesktop. (Although "touch" in this case might just be mouse. Actually I'm not 100% sure what the point of this "one more thing" demo is. I think it's just another chance to show an iPad. 12:27 They're doing the "one more thing" again. Whoa Gus Pinto is on stage? Oh.. just to hand Mark an iPad. Ok, Mark has this iPad with some medical app. He's showing this thing taking an app right to the patient (although again the speed of the screen updates on the iPad are super slow.. I think a conference-related glitch.) Anyway, he's talking about with huge datasets, you move the compute to the data. 12:21 The hardest thing is to support that devices that haven't been invented yet. Mark is now highlighting the HEAVIEST mobile device, it's a Ford F-150. Cool, it's down on the trade show floor and they're live connected via video. So this truck is built with Sprint and they have a Citrix receiver built into the dashboard. He's showing house plans from the dashboard.. dunno why you just wouldn't use a laptop for that? 12:19 Oh, that encrypted client thing isn't coming until Q3. This is cool though. 12:16 Moved over to a Mac. Open the browser, download and access the Dazzle app for Mac. The difference is that since this is a Mac, you can't stream the Windows apps to it. BUT the Dazzle still works, and all the stores and stuff work fine, it's just that the apps are all XenApp hosted instead of streamed locally. I wonder if the secure store that runs locally can be synced back to a host so that it's later available via a hosted app? 12:15 Brad is showing how Dazzle can be used to get apps locally from App-V or Citrix streaming, and how the local encrypted safe zone stuff works. Yeah this is cool. 12:08 Citrix's Brad Peterson (the guy from Net6, not to be confused with Brad Pedersen, Citrix's chief architect) is now on stage to show off this stuff. He's showing the new version of Citrix Dazzle.. browsing different app stores, online services, etc. 12:07 There's a new Receiver plug-in called the "encrypted data plug-in" that's a safe zone on the client that ensures that any app that is distributed via Dazzle that the app can only save local data into this secure area. It can also be remotely wiped with a kill pill. 12:05 Mark is saying that CIOs want BYOC now. (Note it's now "BYOC" instead of "BYOPC.") So a partner (Sophos) has built a plug-in for receiver that's an endpoint security scan that hooks right into receiver. So your Citrix receiver or client or whatever won't start until the Sophos thing says everything's ok.
12:03 Now we're on to BYOPC. Lots of reasons. Companies don't want to own IT apps. Younger people want consumer-like experience at the office. They've done a lot of BYOC projects in the past, but there have been a lot of gaps in the past. 12:02 Talking about the next version of Dazzle. There are features for searching for apps, hooking into Workflow Studio for app request capabilities, and integration with support infrastructures. "The self service model is the future, for the consumer and the enterprise." 11:58 XenApp 6 "FlexCast for Apps" Hosted shared (TS), Streamed local (XenApp streaming) I think there's a slide typo here, because it says Provisioning Services but I think that should be XenApp streaming. 11:57 I don't really know what any of these are, so we need to dig in more today and tomorrow. 11:57 Project Zoom, for instant app startups. 11:55 New HDX Technology: Mach 3 .. They're saying 3x faster HDX performance. Dunno how though. 11:54 Now Mark T is showing his desktop running on an iPad. The performance of this specific demo S-U-C-K-S.. no clapping here. (I mean the demo works, but the desktop video performance is not good on the iPad.) That must be a specific network thing, because remote desktops work on my iPad no prob. Interesting though that he's using VGA out with his iPad and his session?! 11:52 Wow. Using a video conference app with a USB camera plugged-in to the Wyse zero client. The video feed from the client is on the screen. Yeah, more clapping for that. Nice work for that too. 11:49 This Wyse zero client is a full HDX client. So HDX realtime local processing.. This Wyse Xenith is like a Wyse C class with a local media processor. They're showing YouTube video, which I assume is Flash, and that looks good. HDX plug-and-play for USB access. Cool.. showing plugging in an iPhone and doing a "real" sync with iTunes.. So this is real HDX. Also nice! 11:48 This is a true zero client. No OS on the device. Once you login then it figures out who and where you are and how it should be configured for you. He just showed a logon to XenDesktop. 11:47 Wyse guy just showed a demo of a Wyse Xenith where he literally took a new device out of a box and powered it on. From power-on to login screen in 5 seconds! Holy crap.. Lots of applause for that! 11:45 New product: Wyse Xenith. It's a zero client for Citrix HDX. I guess that whole "zero client" message from PC-over-IP was actually working for VMware? 11:43 Oh cool... everyone has a box under their seat. Eight of them have prize horns in them for free laptops. The whole audience is going nuts tearing open their boxes. If you have a horn, they will hand you a laptop running XenClient right now. FUN! 11:42 Mark T "XenClient will be the biggest announcement in desktop virtualization in 2010." 11:42 How do you get XenClient? They're making a "XenClient Test Kit" available, which will have release candidate of XenClient, plus the Citrix Receiver and Synchronizer. You can download that from Citrix.com today. 11:41 Mark is talking about the importance of the open source community and the xen.org team. Actually I think last year Mark said that XenClient would be free. Wonder if they'll follow through with that? 11:40 VideoIanPratt is reminding us that even though it's all so cool, XenClient is new, and they have a lot to do and the best is yet to come. 11:37 Their goal was native graphics experience. They do that by allowing Virtual Machines direct access to the graphics subsystem. They also have deep work with Intel to tune XenClient for power management. It's a real intimate connection with the hardware. Now Dell is on the screen talking about how much they love Citrix and Intel and XenClient. Oop... here's hp now. Apparently they love everyone too. Hey, there's Microsoft. I wonder what they love about client hypervisors? Wow.. this woman from Microsoft in the video sounds like an SNL skit. "Microsoft and Citrix realized the value".... Gouge out my eye!! 11:34 Back to Mark, talking more about use cases for client-based, offline multiple VMs. 11:32 The user interface for XenClient for users to pick and download various VMs is actually pretty slick. Nice work! 11:32 Demoed remote kill pill functionality. Nothing special about this, but definitely a cool feature. Actually I want this now.. That's what I worry about most with my laptop. 11:30 They're waiting for the VM to boot and just tap-dancing for time. Peter and Mark are actually doing a good job vamping. Ok, demo is up, and wow, 3D app is awesome. But it's a locked down VM. No network card, no drives.. no anything in that VM while he's offsite, but if you go back to the personal VM you can see all this stuff. 11:29 Showing also that they built a VM around Windows 7 Embedded, so this shows that you can build super-thin, custom VMs for specific applications. 11:28 Demo #Fail, the seamless app from one VM is not accessing the VM from the other. But seamless apps from VM-to-VM should work. 11:27 He claims full graphics.. Now showing high-def full screen video running in a VM. So now he's showing a Call of Duty (which he's playing live) and the high def, Aero.. everything. Yeah, this is awesome. Lots of applause and cheers here too. 11:26 Citrix XenClient Peter Blum is on stage now giving a demo. There's this thing called "Studio" which is used to build and deploy VMs. I think. The user experience seems cool.. You can see VMs, power up and down. Switch, etc. 11:24 Mark "To be clear, we did not build XenClient for end users to use. We built it to IT Pros who want to be designers for creating mobile and secure solutions." He's pointing out that you can also run more than one VM... And then you can install VMs locally, or you can connect to the Synchronizer to access IT images. 11:21 There's a receiver for XenClient you can use to interact with the client. There's a component called "Synchronizer" that keeps a copy of the VMs, and at all times, back in the datacenter. All changes trickled in real-time from the client up to the datacenter. I wonder if there are in-guest smarts for that or if they're doing the whole disk image like VMware. There's a remote kill pill functionality. 11:20 XenClient, "super fast Xen engine." Works online or offline. 64-bit. True Type 1 hypervisor, bonds to the laptop and gives bare-metal experience for performance, security, and something else I didn't catch. 11:19 CONFIRMED: They're adding a fourth leg to FlexCast.. a local VM on a laptop with sync services on the backend.. that product is XenClient. "infinitely mobile and secure computing solutions." .. whoa.. spontaneous applause and cheering. 11:17 TS is the best technology for lowest TCO, best for task workers. Hosted VDI is best when personalization is needed. And third type of FlexCast is streamed VHD for local. But the future is laptops. In 2014 72% of corporate clients will be laptops. I'm sure this is leading up to FlexCast Option #4, which will be XenClient. 11:13 Back to Mark, talking about diversity of desktops and devices. And the problem with that diversity is that we each end up putting stuff together in a custom way for our users. But that's a problem because it ends up being "our" product instead of the hardware or client software vendor's product. And that's what drives the cost of change through the roof. So the solution is a different approach.. to view the desktop of a construct of components that's modular, reusable, etc. He's showing the layer cake thing that I've been talking about for years (although his layers are OS, apps, data, personalization.. mine are hw, os, apps, personalization). 11:12 Bryan is saying they've built a platform for running security stuff (for clients and servers) in a dedicated VM. Yeah, this is really awesome. 11:09 Bryan is talking about how a lot of tradition security products are not really geared to work in desktop virtualization environments. So McAfee partnered with Citrix about a year ago to create security apps that are geared for desktop virtualization. There's something called Project Moon, which is a new desktop security app (firewall, AV, etc.). With traditional security apps you install an instance of the thing in every single thing in every VM. But this new platform moves the "work" over to a dedicated VM, so each desktop VM is very light.. they can be smart about how they update, scan, etc. THIS IS HUGE!! 11:08 Bryan Barney, EVP of McAfee Product Operations, is now on stage with Mark. 11:08 Mark T is back. Talking about anticipating needs, working with partners, and one of those is McAfee. 11:05 Seriously this is so boring.. just video of some old guy in a suit talking.. dunno why they just didn't get him here live? 11:04 Now watching videos from CSC, Fujitsu, and IBM. I'll spare you the boring and come back in a few minutes. 10:59 Video time again, this time about a school district (Campbell Union High School District). Whoa.. they're talking about Windows 7? Wow. I think this is the XenDesktop streaming (i.e. Citrix Provisioning Services). They're talking about students being able to access info at 3am. Yeah no crap.. just like we've been doing for 15 years. 10:58 Talking about the latest phase (from March) of the Microsoft partnership. They love each other, etc. 10:56 In the first two quarters of availability, Citrix shipped 1.5m licenses of XenDesktop. But that's weird because XenDesktop has been out for more than a year.. so why isn't he sharing more recent data? 10:55 Now moving on to virtual desktops. Wow, 100m people a day use either XenDesktop or XenApp. Not too shabby! 10:55 GoToMeeting for iPhone will come too. Again, super cool! 10:54 Oh cool.. there's a version of GoToMeeting for an iPad.. (so you can attend meetings via iPad.) Audio, screens, chats... nice! 10:51 Ugg... New Term "dining." With a medium-screen device (iPad), you can "dine" on information. 10:50 New term: "Snacking." Have a small screen in your pocket so you can snack on data, snack on information, etc. 10:49 "We'll all have use for a small screen, a medium screen, and a large screen device. So we each need to figure out which screens are needed for which types of access." Right on.. this goes back to our mantra, about the "use case." 10:46 New term: "Work Shifting." It's about moving the work of people and computing to a more optimal place. So move work to home, the park, outer space. etc. This is cool in concept, but like Blackberries, it will require diligence to ensure that work time doesn't encroach into personal time. Either way, though, Citrix wants to be a big part of this. 10:45 Remember that astronaut who was the first to tweet from space? That was via Citrix XenDesktop. Cool! 10:44 "At Citrix, we have unlimited access to our own internal technology." I wonder if they need to pay for VECD too? 10:43 Innovation video is over. Nothing special really.. just an extended commercial for using Citrix on the iPhone and iPad. 10:38 The winner is "Sonnenschein," a law firm. They're talking about accessing XenDesktop from an iPhone. The guy in the video is giving an example of using the iPhone to access data on a train... which is cool, but laptops work on trains too. Now they're talking about users wanting iPads. I think putting an iPad in a keynote video is the keynote version of scantily-clad woman in a trade show booth. 10:37 We're watching the videos for the finalists for this year's "Citrix Innovation Award." They're talking about these finalists using virtualization to drive innovation... I just really wonder how true that is. Like to people really "innovate" with virtualization? I think it's just that they save money. 10:34 He's making a joke about how many Taxicabs in San Francisco have Citrix ads on them. 10:33 Citrix CEO Mark Templeton is on stage now. 10:31 We're waiting for this thing to start. There are a lot of desktops on the stage, and several of them are Macs! 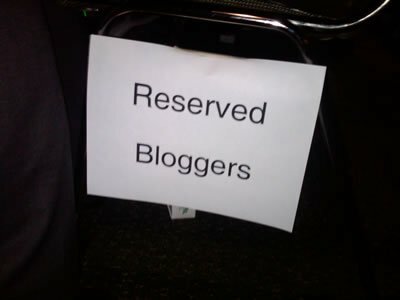 10:18 Hey.. "bloggers" are real people this year! it seems that the McAfee solution is not related technically to any hypervisor and the : could work on XenServer or any other one, will not take any resources from the hypervisor nor will introduce code in it and finally could work even with regular desktop and save their time... Its only with pressure from XenDesktop customers that this take form ??? -	The 1.5M licenses reference was talking about the first two quarters of the latest release, XenDesktop 4, not over the life of the product. In other words, we just did 1.5M in the last 6 months alone - a ton of momentum and repeat orders showing growing deployments. -	A little more about HDX Nitro is up on hdx.citrix.com and thereâs a series of blogs that are all getting released on it (2 today from Harry Labana and myself at community.citrix.com/blogs). We are not giving too much technical detail right now, but youâll get an idea what the focus areas are and some of the basic approaches. That's why I try to avoid wireless for demos where possible. Its bad enough when you have 100 people in the room! Great stuff in the keynote btw, and great work by the XC team. Now, Citrix Receiver can include RemoteFX connections in the future so there is no need to marriage HDX or RemoteFX to XenServer. I have been waiting for XenClient, and finally it is here. Great job on the blog, keeps us very well informed.